I booked my in-laws at this property for a long weekend in early May after having just spent a few nights there myself in December for the Sandals Travel Agency Recognition awards. Since that trip was more work and less play, I didn't get to truly experience the greatness of this resort. But on that quick trip I did take note of the top quality of the food, the excellent service, and the fun atmosphere both day and night-- all things my husband and I thoroughly enjoyed. So after booking my in-laws, my husband and I decided to book our own room and spend the long weekend in paradise with them. It gave us the perfect opportunity to see the resorts as guests, not agents. Lucky for us it's a quick (and cheap) 60 minute non-stop flight on our favorite airline JetBlue, from Central Florida where we live. In no time we were at the airport breezing through customs and immigration. Packing Tip: The first thing I want to mention is that we only brought carry on bags since it was a short trip but I still managed to find room in my bag for some Pack For A Purpose items. Sandals and their sister resorts Beaches, partner with PackForAPurpose.org and allow their guests to pack up to 5lbs of items for donation to school children. 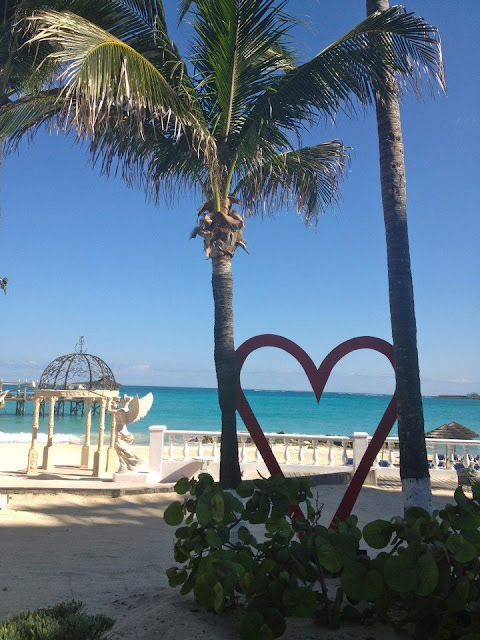 I knew about the program through the Sandals Foundation which is the Sandals resorts' charitable foundation that gives back to the communities in the Caribbean-- the communities that their employees, friends, and family all live in. Communities where things like dental and medical benefits, air conditioning in schools, and even something simple as a pencil are hard to come by. 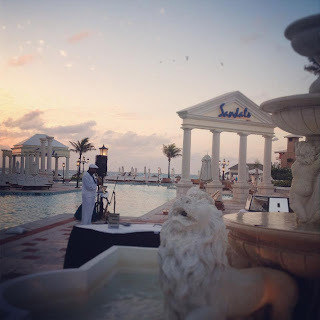 As a travel agent and a top seller of Sandals, I have many opportunities to get involved with the Sandals Foundation, and this is one of the several ways I like to help give back. I heard a story about a school child who was given three pencils thanks to this program. When the person who donated it came back she found only one left and it was broken in three. She asked him why he did that and the child said so he could share the pieces with his friends so they would all get them. 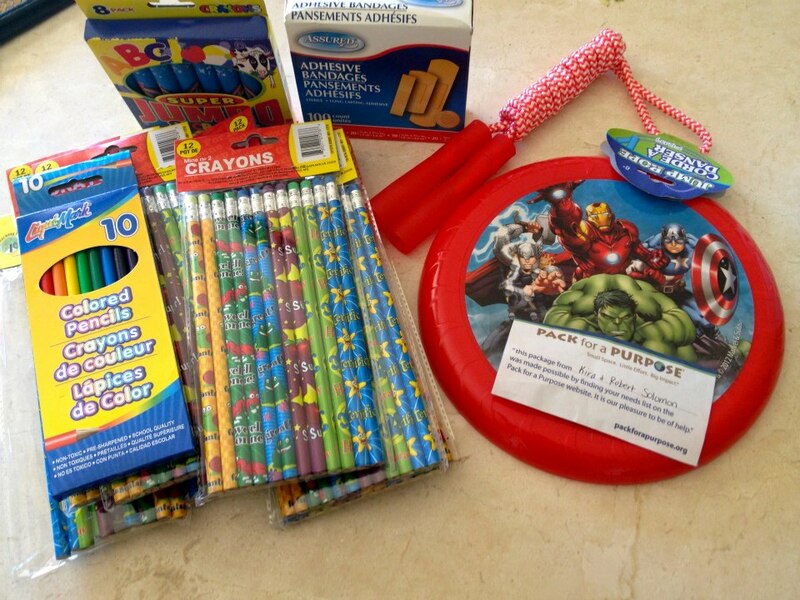 The story broke my heart, so now whenever I go down to a Sandals or Beaches resort, I bring school supplies with me. This time I went to the store and stocked up on some items, including enough pencils for every single child in the school to get one. I made sure to buy the pencils that said something inspiring like "Great Job!" "Superb!" or "Fantastic!" on them, because I wanted each child who received one to know how truly special they are. *Remember when packing to put them in a plastic shopping bag so it will be easy to keep them all together. Anything that is in a big package can be taken out of the packaging in order to make room. Don't forget to print out the card on the website, write your name on it and include it in the bag so they know who it all came from. When you check in or out, give the bag to the front desk. You can view the full instructions online here. 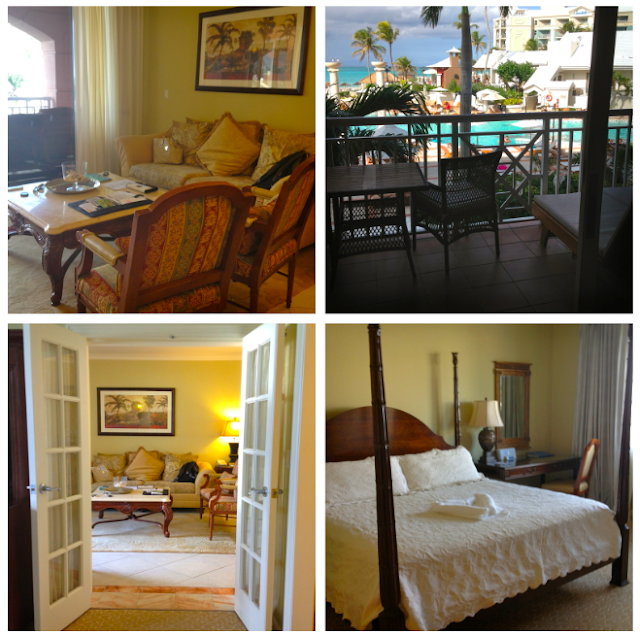 The Arrival: We were lucky enough to have a butler suite, and I have to say, it made all the difference at this resort. 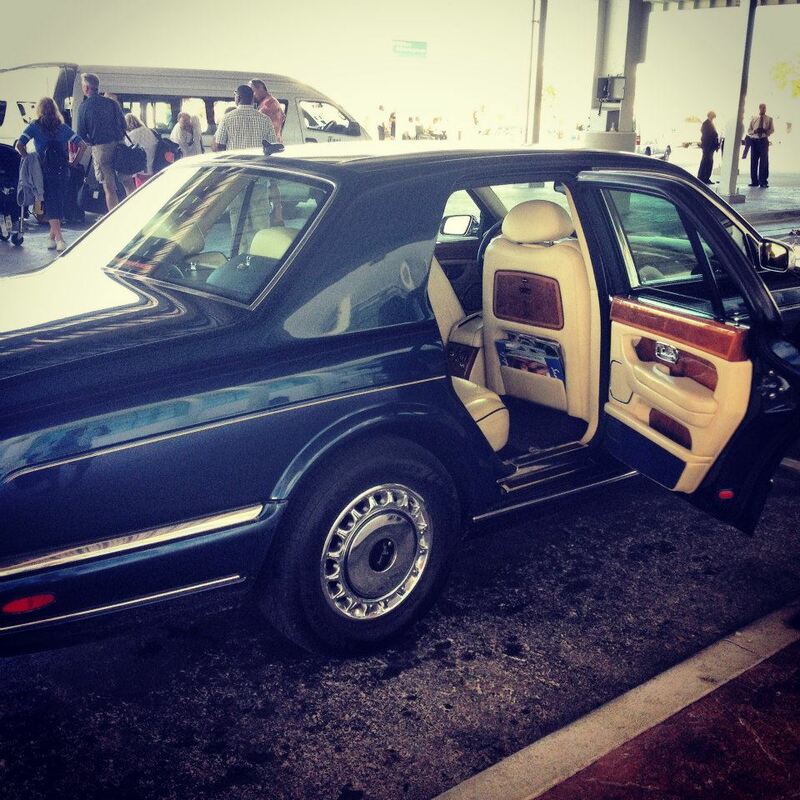 For example, one of the perks of a butler suite is the private Rolls Royce transfers. It's not something that would have normally been a "deal breaker" for me when deciding on a room category, but now after experiencing it firsthand, it is! Walking out of the airport to the curb and finding your own private luxury car waiting for you, door open, chauffeur waiting to assist you-- it's an excellent way to start your vacation. We were in the comfy car relaxing and on our way to the resort while everyone else was still getting into the resort van. We didn't have to wait for anyone. Then pulling up at the resort in such style made me feel like a celebrity. Someone helping me out of the car without having to worry about our bags. Being handed a cool towel and a glass of champagne. It was perfection. The Room: But to top the whole trip off, we were pleasantly surprised to see we were upgraded from an entry level butler suite, to the top suite at the resort-- the Windsor Royal Beachfront One Bedroom Suite. The room and the view combined is just breathtaking. I don't think I'll be able to stay in another room at this resort after staying in this one. The resort does a good job at living up to it's Royal name, and we definitely felt like royalty in that gorgeous suite. Last time we stayed it was in a Concierge suite with barely any view of the ocean and in the Windsor building, which is the older section of the resort. Unfortunately I was unimpressed with the room we had there. This time, my in-laws had a lower category room than the last one we stayed in, but in the new Balmoral tower and I have to say, I liked those rooms much better. If you're going to stay in a suite lower than a butler suite, go for one in the newly renovated Balmoral tower. The Service: If you can swing it, I highly recommend getting a butler suite. The butler service at this resort is outstanding! We had Dianna, Corey, and Reynard. We only saw Reynard once, but he was still very helpful in getting us aloe for my mother-in-law who was suffering from sunburn. He was able to track down a bottle that someone left behind that was barely used, instead of us having to pay for a bottle at the giftshop. Corey was our main butler during the beginning of our stay. He checked us in, unpacked for us, made all of our dinner reservations, saved us chairs on the beach and brought us drinks on the beach each day, and was kind enough to stock our in-room bar with a brand new bottle of my husbands favorite liquor, Crown Royal. We met Dianna two days before we left and she was just fantastic. By then we had almost everything we needed thanks to Corey and Reynard, but Dianna still found a way to go out of her way and take care of us. She even rushed to make a table for us at a restaurant when service was a little backed up and we were left waiting (something we honestly didn't mind, but the butlers don't like to see their guests wait). The rest of the staff was nothing short of amazing. The front desk was helpful when I needed to speak to them. The general manager, Patrick Drake, and his team (Shellie & Charles) were amazing. 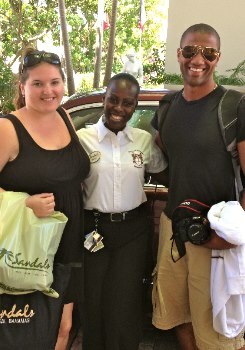 By far my favorite GM & team from a Sandals or Beaches resort. Kerry (sp?) was awesome too, though we only met her an hour before we had to leave and wish we had more time to get to know her better. She seemed like a lot of fun! Carlton, the waiter at Gordon's on the Pier, was our favorite waiter during our trip! Not only did he serve us the best food, but he kept us entertained and laughing the whole time. Honestly, the only person I had an issue with was whoever took our room service order one night. They sounded like they were in a bad mood and then hung up on me after I gave my order, without saying goodbye. I wasn't sure if the order had been placed or not, but that was the only time I felt like I was being a burden or bothering anyone. The Food: My husband is a major "foodie" and it's hard to impress him. He loves to cook and will critique the food wherever we stay. When we visited here in December he loved the food, and luckily on our return trip the food didn't disappoint. We ate at all the restaurants and the food was great at each one, but the one restaurant that stuck out the most was Gordon's on the Pier. This restaurant is open to butler guests only because it is small in size. But honestly, the two meals we had at this restaurant are two of the best meals we've ever had in our entire lives. I know that's a bold statement, but I wouldn't say it if it weren't true. 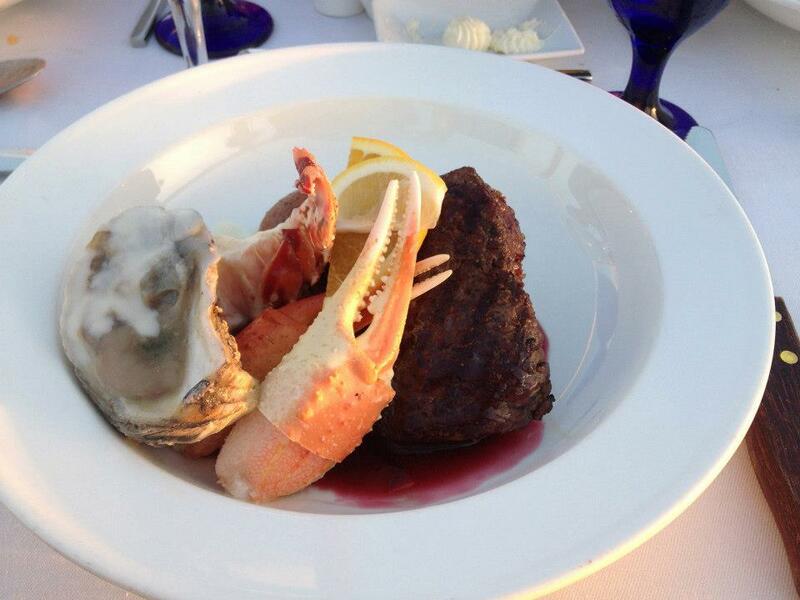 We had the lobster tail, crab claws, oysters, and filet minion and it was all cooked perfectly. The food was so good we decided to forgo the other restaurants for dinner and have our butler reserve us at Gordon's again. So again, if you can get a butler suite, you won't be sorry! The Entertainment: One of the best parts about this resort-- and there are many-- is the entertainment. 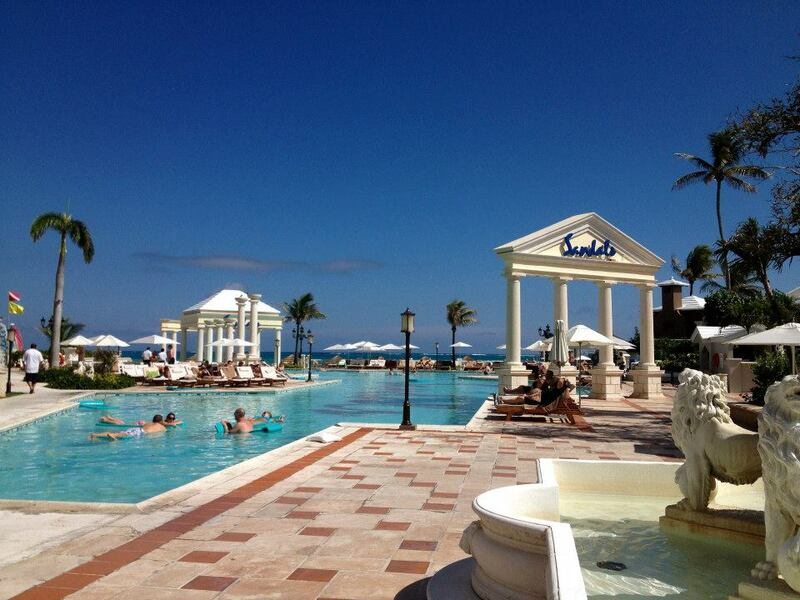 Some of the Sandals properties are severely lacking in this department but Sandals Royal Bahamian does it right. There is just enough to do to keep you entertained but not so much that you're overwhelmed. 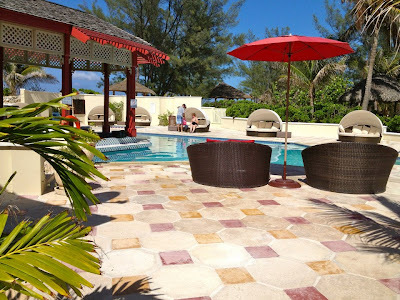 During the day there are water sports and activities by the pool and beach, but if you want to be left alone there is a quiet pool as well as a private island that you can be whisked away to if you want peace and quiet. At night the resort comes alive and it's so beautiful. While the sun is setting live saxophone and/or flute music from a multi-talented musician fills the air around the Windsor pool deck. It was so romantic to sit there and listen to the music from our balcony, or from our outdoor table at a restaurant. Then after dinner the atmosphere slowly changes from romantic and relaxing to fun! The musician leaves and the nightly entertainment staff comes into the theatre for the shows. There was a woman who sang some love ballads and she left us all speechless. I used to be a singer, and I know how much practice and vocal discipline it takes to belt out some of these songs, and I was shocked by how amazing she was. In my opinion, this woman put Beyonce, Whitney, Mariah, and other vocalists to shame. One evening they had a guy come in and do a magic/psychic/hypnotism/comedy act and it was the craziest thing I'd ever seen. I've been on cruises and to many resorts, but this was the best act I'd witnessed. I was very skeptical going into the show but it just didn't make sense how much he was able to pick up on. I wouldn't have believed it had my husband not participated. Honestly, I am still baffled by how it all worked. Kudos to SRB for finding this guy and giving him a show at the resort each week! The Water/Activities: Unfortunately the weather wasn't perfect the entire time we were there and that meant that the waves kicked up a lot. The snorkeling excursions were cancelled due to how rough the waves were for the entire time we were there, so that was upsetting. My husband and his mom did get to go sailing on the hobie cats. They had a great time and can't wait to try it again. Other than the water sports department, which was pretty much closed due to the waves, the majority of the day time activities were at the Windsor pool. There were speakers playing music for most of the afternoon and entertainment staff members trying to get people involved by playing trivia games, dancing, and other activities. It was fun to hang out there and watch the games and sometimes join in. The Resort/Grounds: The resort is beautiful and even though the beaches are a bit small, and rocky, over by the watersports department it was very easy to walk into the water and swim around. Staff members kept the areas around the resort clean at all times. People would leave cups out and within minutes a staff member would clean it up. They are very well trained, organized, and you can tell they all work as a team. There were lots of smiles and the employes interacted well with each other. I got more of an "at home" feeling here than I have at any of the Sandals resorts since I visited Sandals Negril a few years ago. One thing I have to mention are the fire pits. I fell in love with these fire pits back in December and was so excited to be coming back because for months now my husband and I have talked about how romantic it was cuddling up at night with the warmth of the fire tickling our toes as we watched for shooting stars. 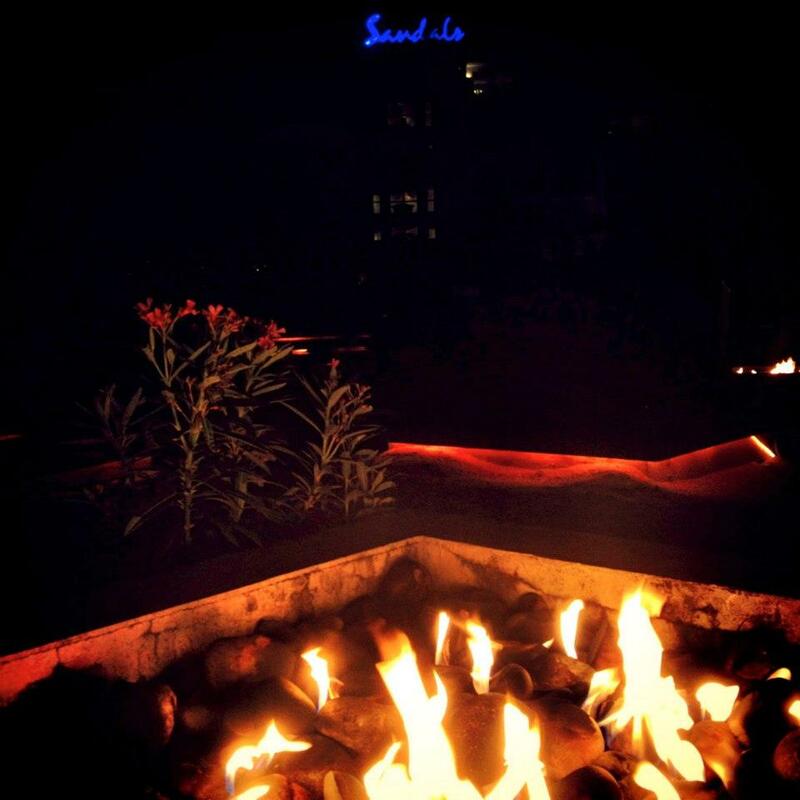 We never had a problem finding a fire pit to lounge by, and each night we sat there for a little while. I recommend everyone try it at least once, especially if you travel there in the late fall-early spring when it can get a bit chilly after the sun goes down (bring a sweater, blanket or towel to cuddle up in). Some areas are a bit worn down and older, such as the Windsor building, but the truth is, it adds to the charm of the resort. The resort is titled "Royal" for a reason-- the Queen of England and other members of the royal family have stayed on this property. 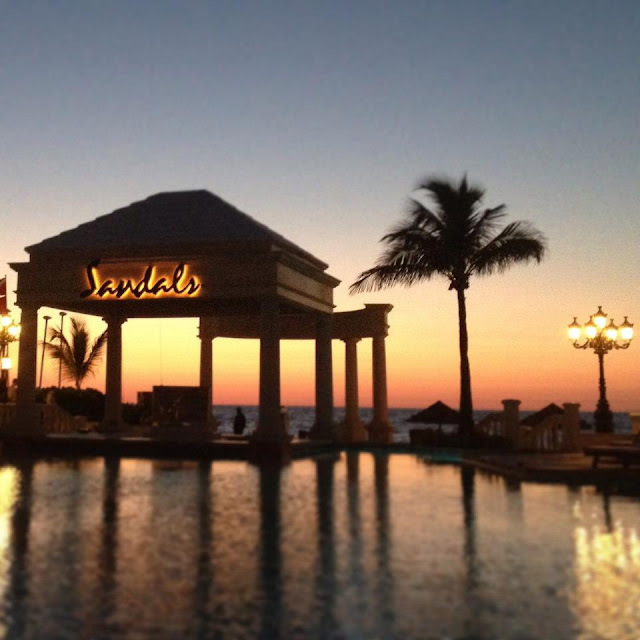 You'll see plenty of photos and memorabilia from the different celebrities and royal family members who have stayed here before the resort became a Sandals property. It's fun to walk around the Piano Bar area and see all the black and white and sepia tone photos taken on property from over half a century ago. Another fun fact about the resort, the Beatles filmed their music video for the song "Help!" 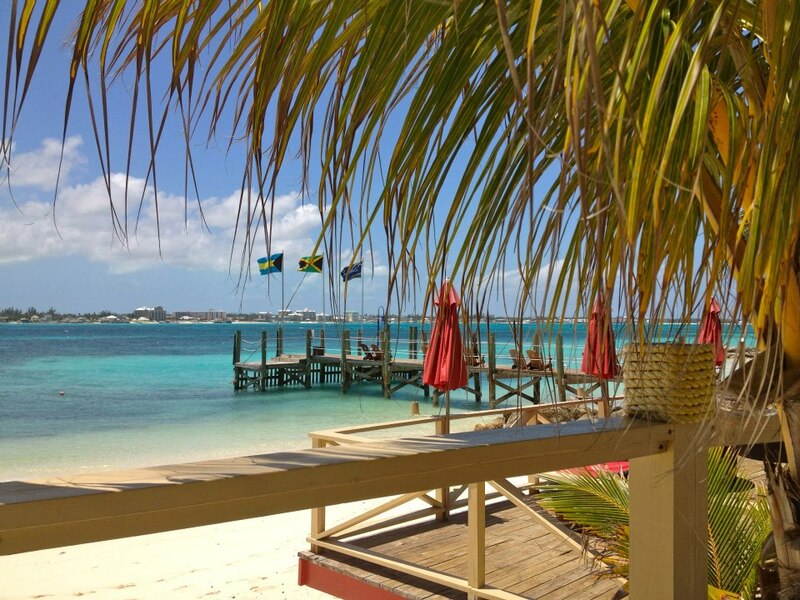 on what is now Sandals Cay (formerly Balmoral Island). The Private Island: Speaking of the private island, this is by far my FAVORITE feature of this resort. I enjoy getting involved in activities and games poolside, and bouncing around in the surf on the beach, and I also don't mind all the music playing throughout the day. But every once in a while I enjoy peace and quiet, and this private island gave us just that. 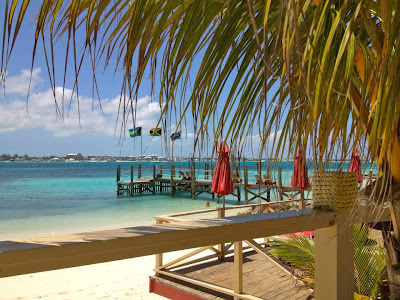 We were able to escape to the Cay one afternoon for lunch and I was amazed to see that even though many people seemed to go over there, the place felt empty. There were only 4 other couples in the pool area and we had no problem finding a comfy round lounger. The swim up bar was empty, there was space at the restaurant, and the beach looked empty too. It really felt like we had our own private island. It was a welcomed vacation from our vacation. I only wish I had tried a massage on the beach there. It looked divine! The best part about the island was how there were little all over the island where couples could find some much needed privacy. 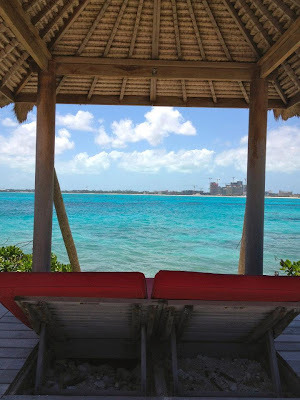 We found a beautiful little cabana overlooking the ocean at the far end of the island. I could just imagine taking a nap there cuddled up with my husband listening to the waves hitting the rocks below. No music, no background noise, just the wind and the waves. I was impressed that the vibe on the island was so different from the vibe at the resort. Even though they were the same guests visiting the island, it was truly like to resort experiences in one. 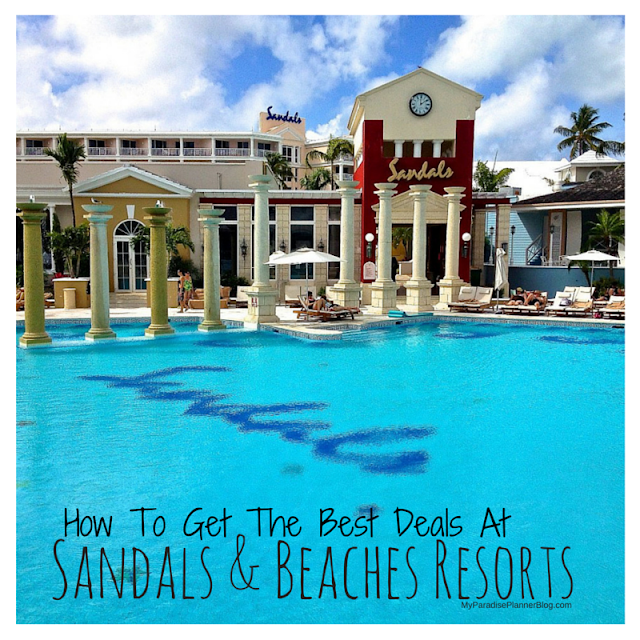 All in all, this resort has quickly jumped to the top as one of my favorite Sandals properties. I will absolutely be back, and soon! I hope more guests give this resort a chance. The flights from the US to Nassau aren't very expensive at all. In fact, there are times when it's under $200 per person on JetBlue. That's a steal! With the Sandals Resorts Airfare Credits, you're sure to find a great deal to get you down there and once you're there, you'll be glad you picked Sandals Royal Bahamian. 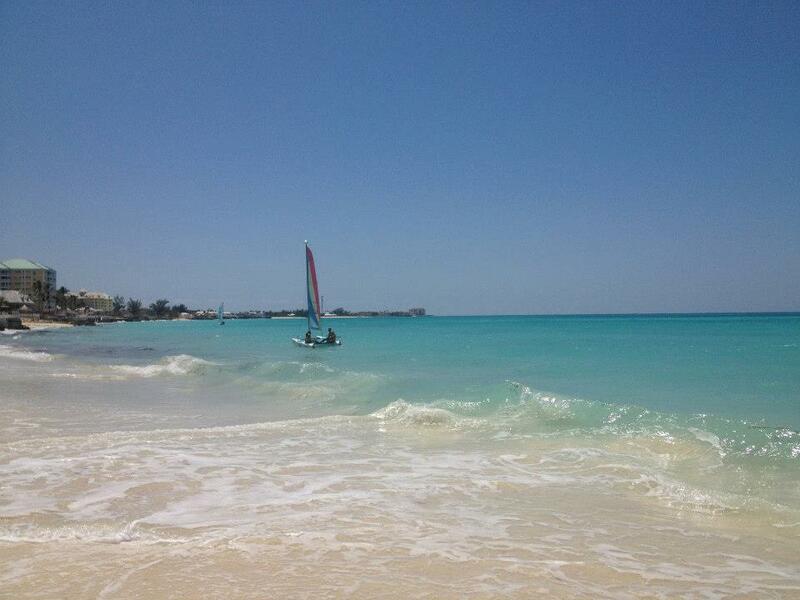 It really is one of the main jewels in the Sandals crown.